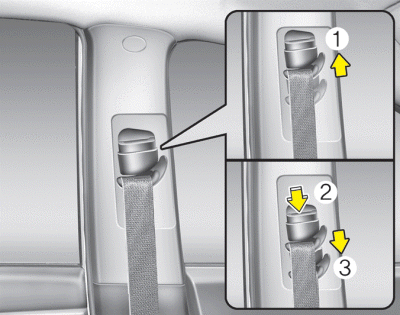 To fasten your seat belt, pull it out of the retractor and insert the metal tab (1) into the buckle (2). There will be an audible "click" when the tab locks into the buckle. 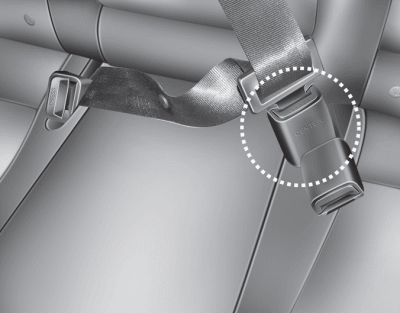 The seat belt automatically adjusts to the proper length only after the lap belt portion is adjusted manually so that it fits snugly around your hips. If you lean forward in a slow, easy motion, the belt will extend and let you move around. If there is a sudden stop or impact, however, the belt will lock into position. It will also lock if you try to lean forward too quickly. 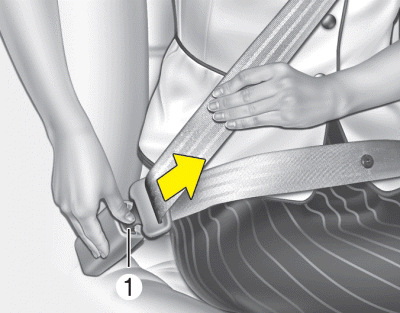 The height of the adjusting seat belt should not be too near your neck. The shoulder portion should be adjusted so that it lies across your chest and midway over your shoulder nearest the door and not your neck. Verify the shoulder belt anchor is locked into position at the appropriate height. Never position the shoulder belt across your neck or face. 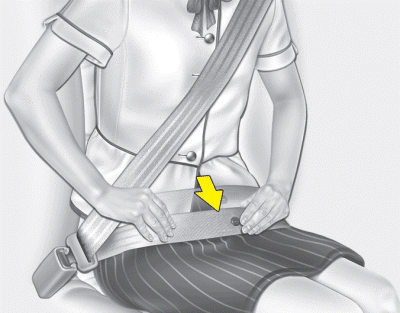 Improperly positioned seat belts can cause serious injuries in an accident. Failure to replace seat belts after an accident could leave you with damaged seat belts that will not provide protection in the event of another collision leading to personal injury or death. 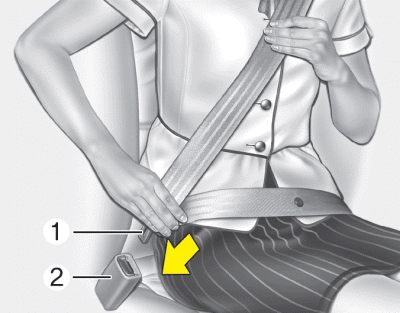 Replace your seat belts after being in an accident as soon as possible.